Different studies highlight how CEOs can reap positive benefits by using social media (see Weber Shandwick study). At the university level, there are some presidents, provosts and school deans who are also using social media in a strategic way. Take for example University of North Carolina Provost Jim Dean, who has been tweeting actively since 2009.
how to connect individual social media activity to big picture university goals. how university communicators can support top leadership in their personal social media activity. how a senior leader can use social media during a time of crisis at the school. how busy senior leaders can incorporate social media into their everyday activities. In our reports section, I highlight the 2016 institutional social media goals from Cara Rousseau, Manager of Social and Digital Media Strategy at Duke University, and Kristofer Karol, Director of Social Media Strategy at Indiana University. James W. Dean Jr. is the Executive Vice Chancellor and Provost of the University of North Carolina at Chapel Hill and the former dean at UNC’s Kenan-Flagler Business School, where he is a professor of organizational behavior. Leadership, organizational change, strategic decision making, international management, and organizational performance improvement are the focus of his research, teaching and consulting. 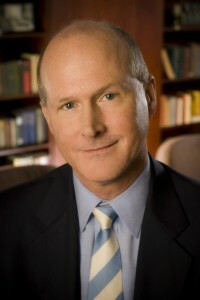 Dr. Dean served as Dean of the Kenan-Flagler Business School from 2008-2013; Senior Associate Dean from 2007-2008; Associate Dean of Executive Development from 2002-2007; and Associate Dean of the MBA Program from 1998-2002.